A mayday call was briefly issued when a firefighter became tangled in wires in a burning garage in Anderson Township on Friday, Jan. 25, 2019. 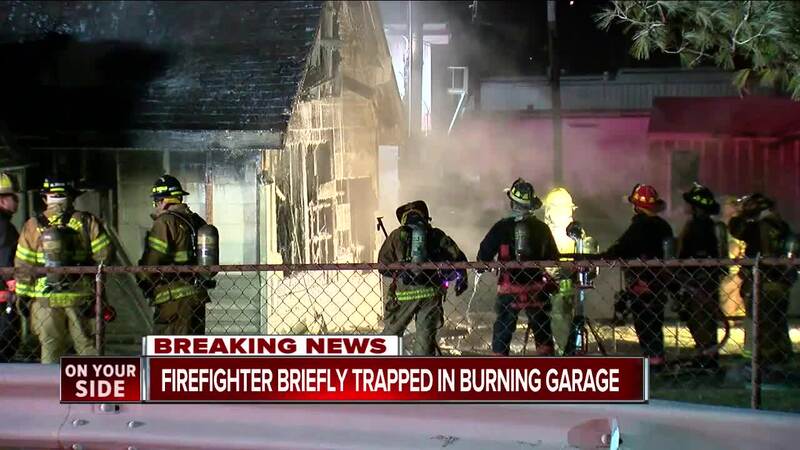 ANDERSON TOWNSHIP, Ohio -- A firefighter was briefly trapped in a burning garage when he became tangled in wires Friday morning, according to a battalion chief on scene. Firefighters issued a mayday call, but it was quickly canceled after they were able to pull him out of the garage. The detached garage on YMCA Road caught fire at about 1 a.m. Friday, the chief said. No one was injured.